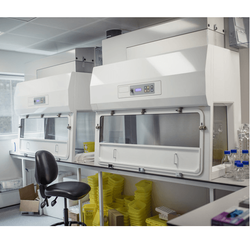 Our product range includes a wide range of pharmaceutical fume extractor, welding fume extractor, soldering fume extractor, laboratory fume extraction ventilation system, chemicals & solvent fume extractor and grinding fume extractor. We Offers Pharmaceutical Fume Extraction Equipments which can be applied to a number of related Fume Extract applications including: Powder Weighing and Handling, Chemical Control, Tablet Pressing and Coating, Fluid Bed Drying, Spray Drying, Blending and Granulation and General room ventilation associated with R&D Laboratories and manufacturing facilities. We offer’s Welding Fume Extractor designed specifically for the collection of welding fume, these are portable welding fume extractor is ideal for companies that require welding fume extraction.These innovative portable fume extractors, also referred to as welding fume collectors remove harmful contaminants at the source before they can enter a welder's breathing zone and cause serious health concerns and illnesses. Routine maintenance, filter changes and collection tray disposal can all be done easily without the use of any tools. 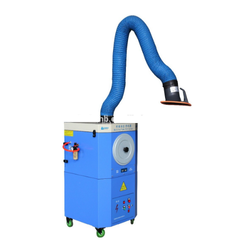 We offers Soldering Fume Extractor for several different styles of source-capture fume extractors for solder fume control, solder pot and wave soldering fumes. Configurations include bench top, wall-mounted, portable, and floor models. These compact and energy-efficient systems feature quiet operation, convenient mobility, and high efficiency filtration media including HEPA and/or Activated Carbon.ESD safe units are available for those concerned with electrostatic discharge while working with sensitive electronic equipment. To meet diversified needs of our esteemed clients, we are offering a vast range of Laboratory Fume Extraction ventilation System. The offered products are widely praised for its durability and premium quality all over the Clients. These systems are strictly examined by our quality controllers on well defined parameters ensuring optimum quality and perfect finish. In addition to this, these products are available in flexible customized options to our customers at industry leading rates. We Offers Chemicals And Solvent Fume Extractor for chemical fume extractor that implements a highly concentrated, advanced chemical absorption media. Chemical Extractor removes most of hazardous fumes and organic hydrocarbons from solvents, chlorine and chemicals commonly found in industries and laboratories. With a multilayer micro-filter assembly, and a low noise, high-efficient powerful Blower, were quickly catches the chemical fumes and other air impurities at their origin. 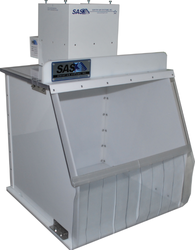 We Offers Wide range of Spray Paint Fume Extraction systems including the mobile spray booth which sits at the top of our range. The combination of fully carbon filtered recirculation filtration, The flexibility of being fully mobile around the workshop means the Systems mobile spray booth is a must for body shops wishing to carry out larger smart repairs without tying up expensive conventional spray Paint Fume Exhaust. 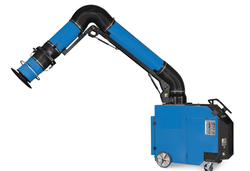 The Welding and Grinding Fume Extractor is available in three dimensions and designed for extraction of dust and fumes during most welding and grinding operations. It can also be used in explosive environments, if grounded accordingly. The table is not suitable for cutting. 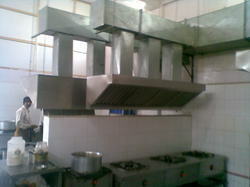 We are involved in offering a comprehensive range of Kitchen Exhaust System to our valued customers. 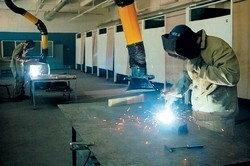 The product range of these systems includes Fume Exhaust System, Roof Exhaust System and many more. These systems have been known for the rugged as well as robust design. We are bringing forth a comprehensive range of Kitchen Ventilator in the industry. The offered ventilator are especially engineered and designed by our team of extremely qualified professionals. These ventilators are mad from break resistant material. Our ventilator is acknowledged for their simple installing. This ventilator is highly resistant scratch. Moreover, this Kitchen Ventilator can be custom made as per the need of the valued customers. 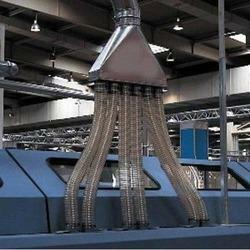 Looking for Fume Exhaust System ?